Premium Spas are the culmination of a Vision; a Vision founded on the ideal of designing a Hot Tub that is exceptional in every aspect of design, quality, comfort and features. Over 100 years of combined engineering and creativity went into the development of Premium Spas, the result of which is a product that exceeds the boundaries of normality. Influenced and inspired by consumer driven desire, Premium Spas are the epitome of Luxury and Performance. Never before has a hot tub had the sophistication and attributes of a Premium Spa. It is an investment you will want to brag about and experience you will enjoy on a daily basis. The frame is constructed from “A” grade and treated 2 x 4’s which are both stapled and screwed in place. The skirting is a beautiful and maintenance friendly simulated wood that will last for years. Even the bottom of the spa, where competitors will often try to save money, is capped with a form-fitted plastic shroud. We start with an Industry leading acrylic shell material such as Lucite, which is supported by our exclusive low VOC emitting Fiberlite substructure. Where possible we try to use Green Friendly materials or components. Two areas where green products are used in the making of a Premium Spa are XT Insulation, a recycled fabric material that combined with other aspects of our XT Insulation system – like our up-graded – all weather cover, render Premium Spas among the highest rated in terms of thermal efficiency and energy savings. Another area where we place concerns of the environment at the forefront is in the use of our TSE USDA Approved – Bio-based Foaming systems. Heavy duty 16 gauge steel support frame. Companies patent things for two basic reasons; to showcase the thought, the expense and effort that went into the design and development of the product components and secondly, to protect the product from being copied. Premium Spas contain no less than 5 unique patents or patents pending. The latest in hot tub technology, on screen functions including filtration, heating and maintenance are part of this “Smart” system with wi-fi connectivity built in. Curvilinear design employ defined and flowing curves and forms that accentuate the beauty of our designs. We enhance each jet performance with the use of our Variable Velocity Induction system which is standard on all Premium Spas. 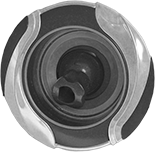 Not to be confused with the common “air volume control” as found on most spas, this unique feature allows the bather to fractionally adjust jet velocity with a simple twist of a finger. Our patented pending Leaf Jet design, is an elegant combination of flair and function that is yet another example of what makes Premium Spas so extraordinary. 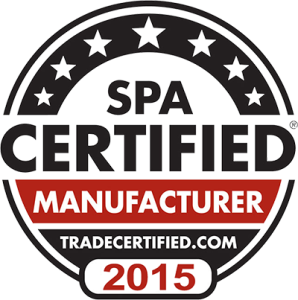 Premium Spas XT Insulation makes it one of the most efficient hot tubs to operate. Provides a blast of water in a shower head type of effect that is great in bringing to affected areas such as the leg muscles and the lower back. The Maxi Swirl is a fitting name as it is a large, high volume jet that spins and thrust water in a pulsating manner over a large area. The pulsating effect provides a Shiatsu type of massaging effect. These jets produce a large and strong volume of water in a direct but broad stream. They are typically used for back massage. Also referred to Mini Jets or Cluster Jets, these jets have many purposes and are normally found in groups clustered together to provide pin-point massage to a specific part of the body. They simulate a reflexology type massage to the extremities of the body, hands, wrist, feet, legs and shoulders. 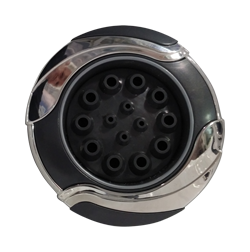 The Quad Spin Roto is a patented pending jet that is exclusive to Premium Spas. Unlike dual spin jets more commonly found, these jets incorporate a 4-position water stream with flow guiding fins that allow the jet to spin smoothly and freely resulting in a softer, yet vigorous and more deep soothing effect. These jets are smaller and able to direct their massaging benefit to specific body parts, like legs or shoulders.